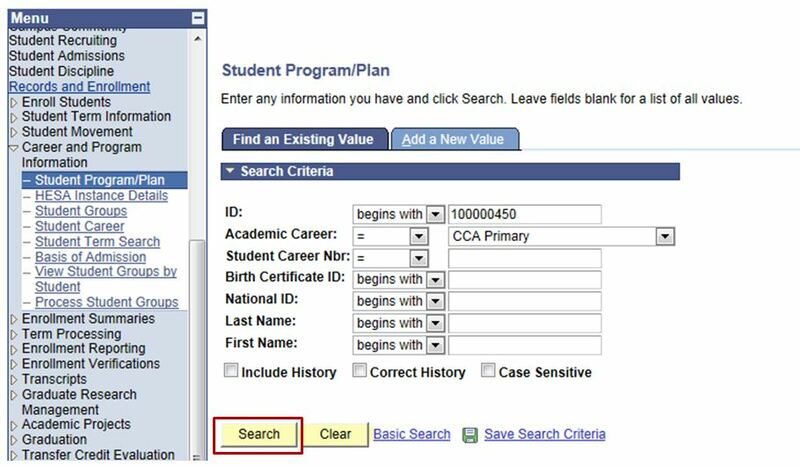 This function allows the users to update student CCA status along with academic movements. 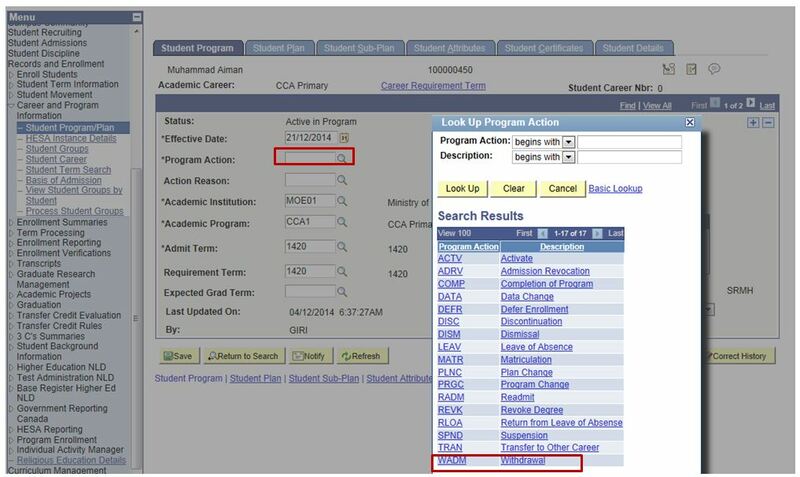 The movements include transfer, deferment and withdrawal. 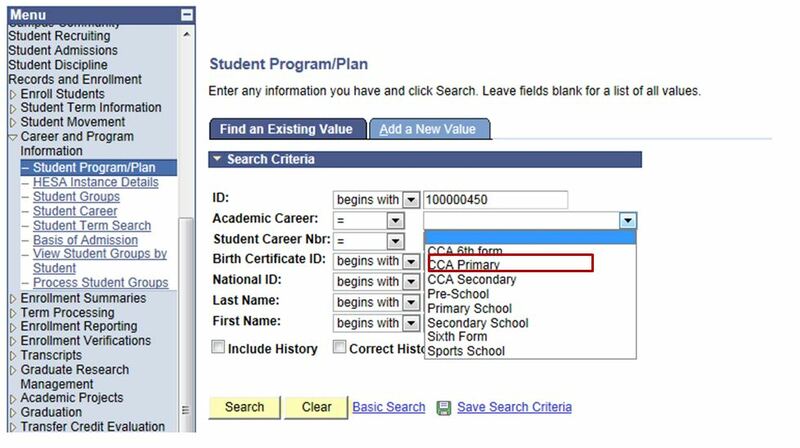 CCA for Primary = CCA Primary, CCA for Secondary = CCA Secondary, CCA for 6th form = CCA 6th form. 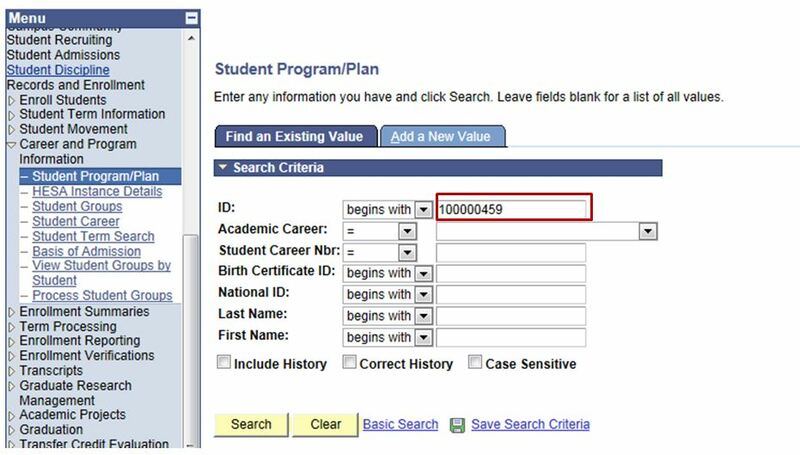 Click on “+” before making any changes. This is to keep archive of previous information. 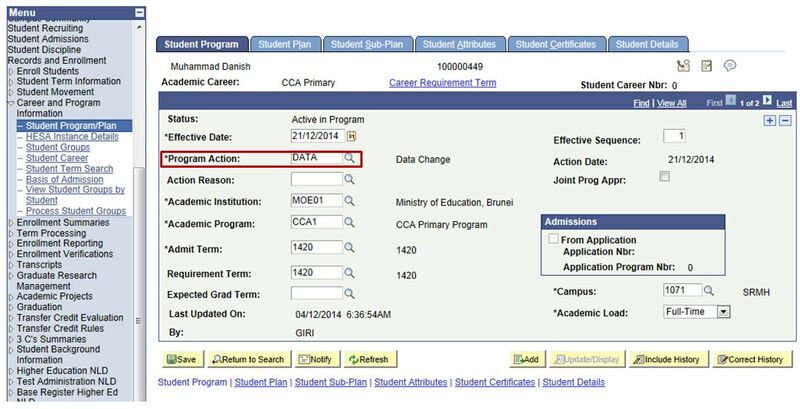 Effective date refer to the date that the student is officially transferred to another school. 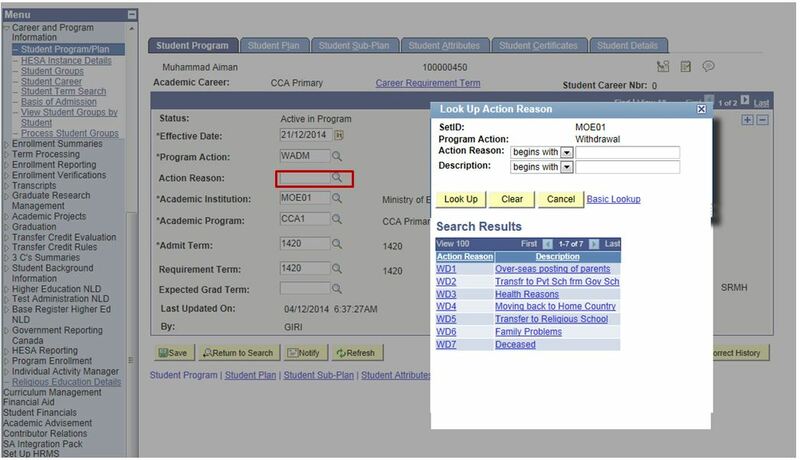 Click on the look-up button at Program Action to select type of program action. 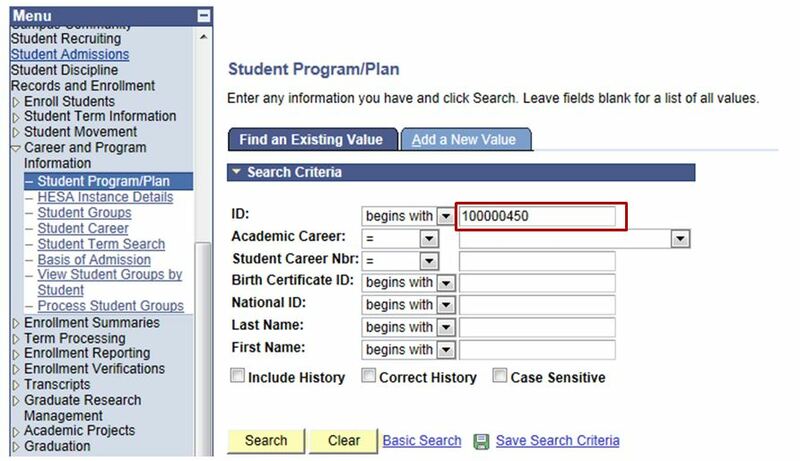 Select “DATA” for data changes made to this record. 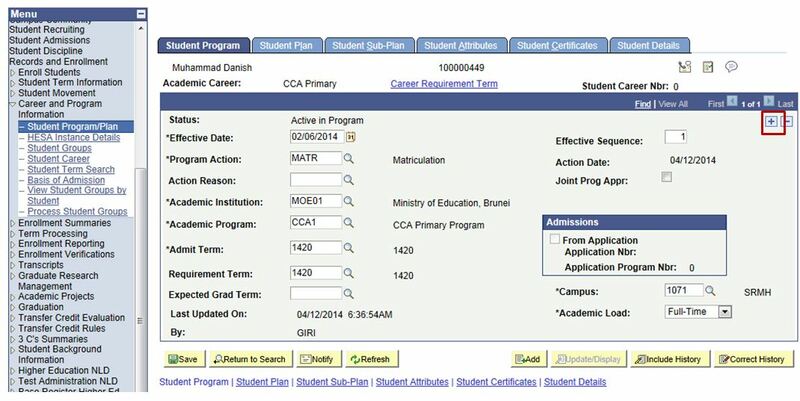 Click on the look-up button at Campus to select school after transfer. 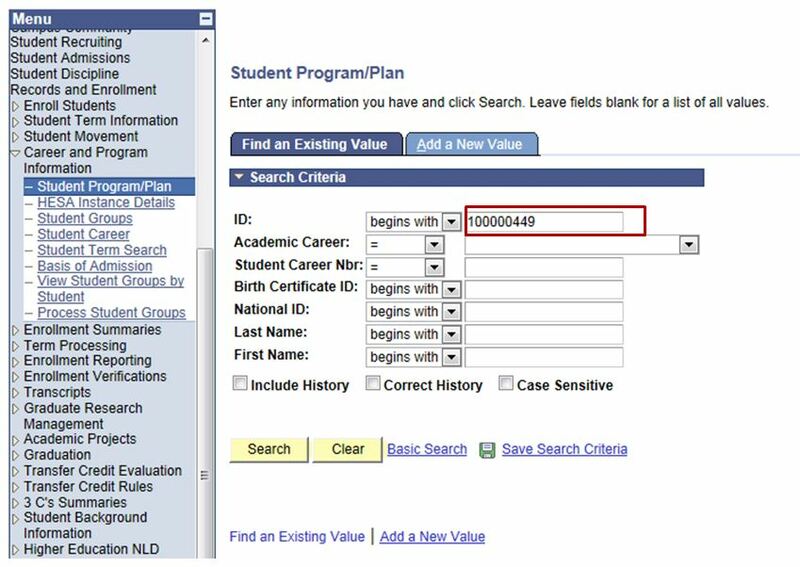 Select the new school code after student transfer. 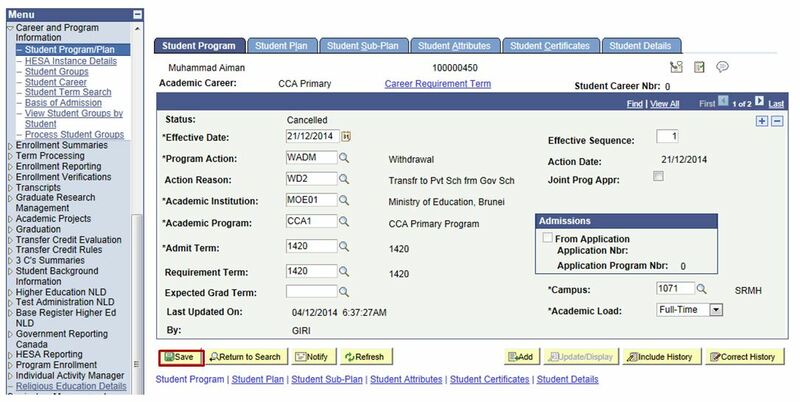 Click on Save button to save the changes made. 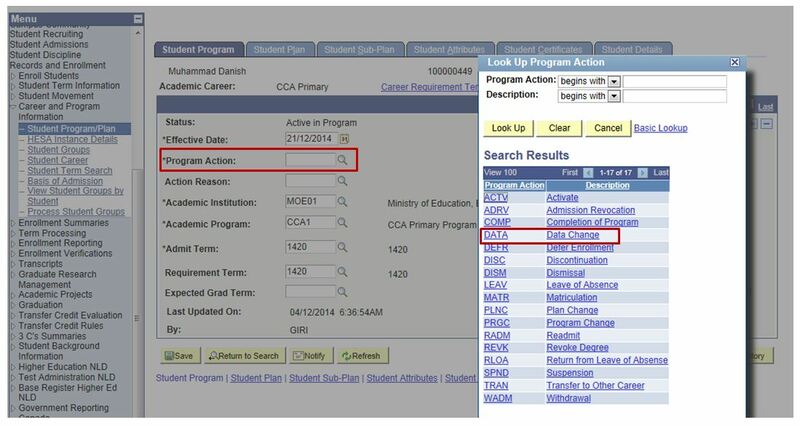 Effective date refer to the date the student deferment in CCA starts. 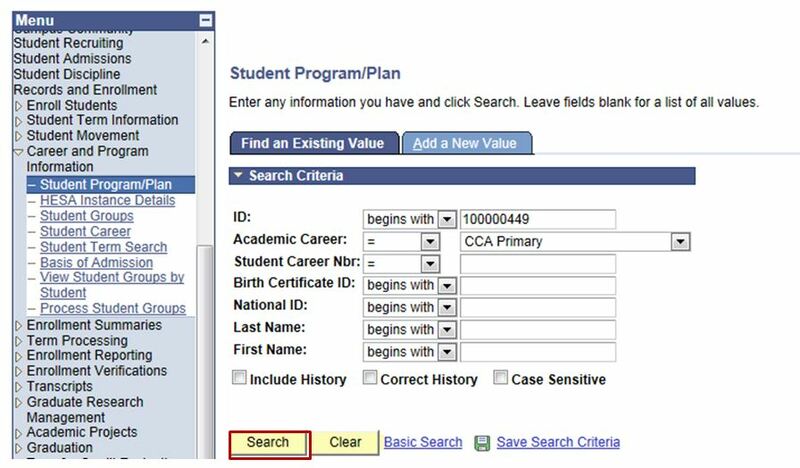 Select “DEFR” if student is being deferred in CCA. 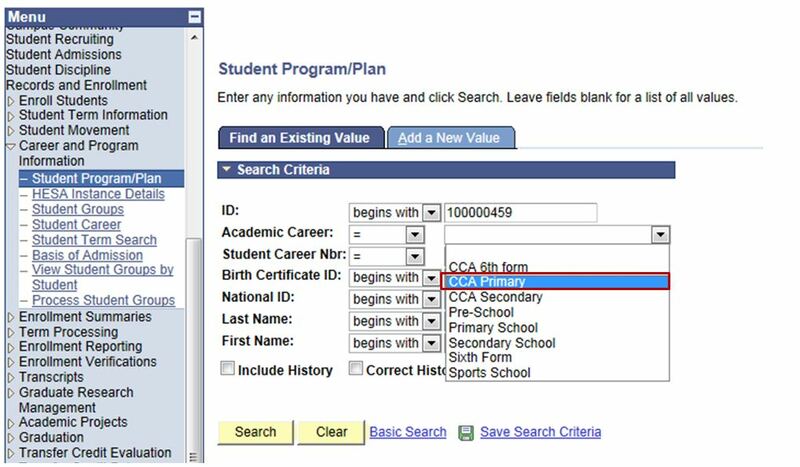 Note: CCA for Primary = CCA Primary, CCA for Secondary = CCA Secondary, CCA for 6th form = CCA 6th form. 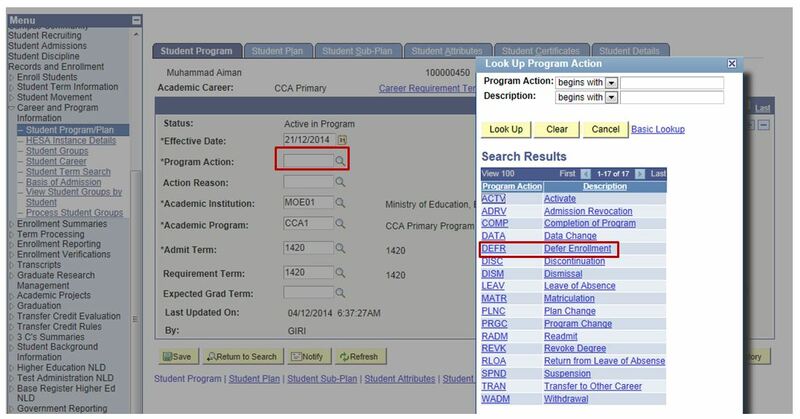 Effective date refer to the date the student starts withdrawal in CCA.